We all know him as the hot-headed and very hands-on owner of the Dallas Mavericks. 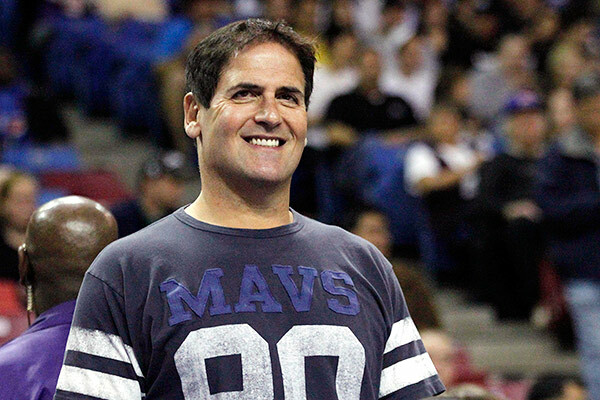 What most of us don't know is that Mark Cuban is a self-made billionaire, being one of the lucky few who were able to ride the dot.com wave and luckier still for being able to cash out just before the bubble burst. Here is the Forbes interview that will teach us a few things about how to build and keep a fortune. 1. What personality trait was the key to your success? 2. What financial advice do you have for someone who is newly rich? 3. How do you choose a money manager or investment advisor? 4. Talk about the most offbeat advice you followed. 5. What do you think are the biggest obstacles to job creation in America? 6. Who is your hero, and why? 7. What are the unforeseen downsides to success? 8. What book should every entrepreneur read? 9. You have $100,000--where do you put it? 10. Name one experience every entrepreneur-to-be must have.